– Active was responsible for two cases, seizing an estimated 1,297 kilograms of cocaine. 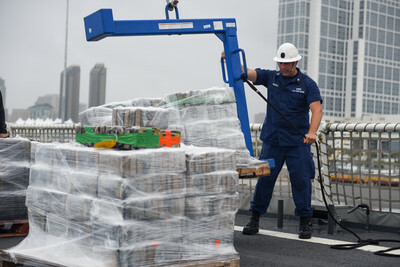 – Steadfast was responsible for two cases, seizing an estimated 2,350 kilograms of cocaine. – Waesche was responsible for two cases, seizing an estimated 2,874 kilograms of cocaine.